The scene: a kitchen table. It could be anywhere. A pet bird, possibly a cockatoo, stands next to box made of woven fibers. It flips open the lid of the box, revealing a kitten resting inside. The bird sees something in the box (a loose strand of fiber? ), and when it makes an exploratory nip, the kitten boops the bird on the beak. 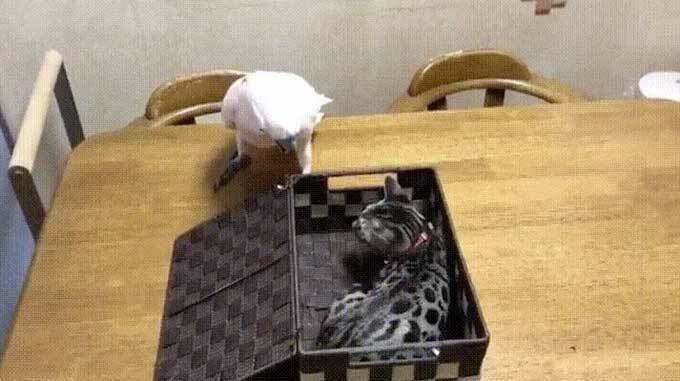 The bird flips the lid back on the box, trapping the kitten inside. The gif ends.